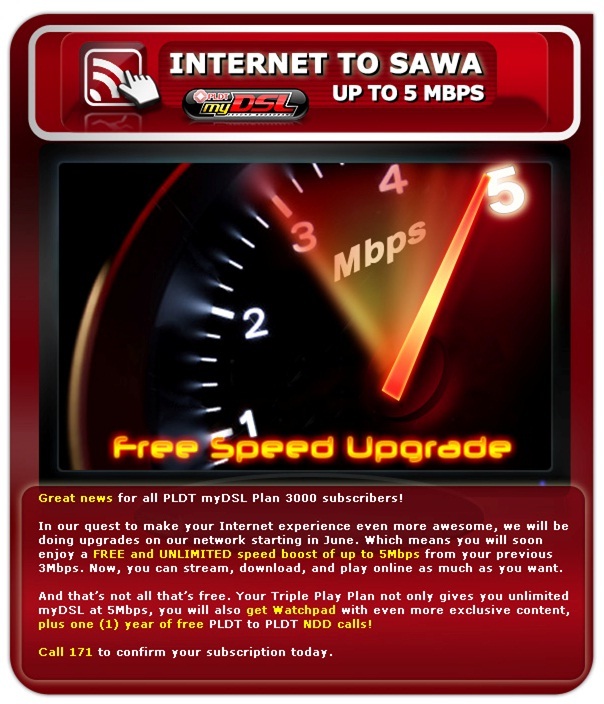 It was my first time to be invited by Nuffnang and PLDT MyDSL for a movie screening. And I had to admit, I was very excited about it. Not only because I know most of my blogger friends were also invited, but more so because Kyle and I had always been a fan of Transformers movie. We had seen all three films together, even to the point of going to pocket events of these films by Cybertron Philippines. So you could just imagine how we both anticipate this film. We were super excited upon learning that we've made it to the list of invited nuffnangers. Kyle immediately went home straight from his classes in school to make sure he's going, that there's no way I'll be leaving without him. Afterall, Transformers 3: The Dark of the Moon was said to be the last Transformer film according to director Michael Bay. Kyle posing with his fave Autobot Bumblebee. Upon arriving at the venue, Shangri-la Plaza Mall Cineplex, Kyle suddenly began to ran. At first I did not undertand why, until I saw cosplayers surrounded the area. Kyle begs for me to take photos of him with his fave autobot Bumblebee right away. So I had him posed with the cosplayers--and he didn't want to take his jacket off even if it's quite hot in the said area. Kyle with Transformers' leader Optimus Prime. This third Transformers movie was the best among the rest of the movie installment. Visual effects were good, acting was excellent, adding to the fact that it had Patrick Dempsey on it made it more pleasing. And for a change, instead of playing his old goody-goody roles that he's known for, Dempsey plays a villain here. Shia LaBeouf looked a bit banged up after the epic scene, but he's still way too cute on the huge silver screen. The movie standee that shows the Dark of the Moon. Back in the Cybertron Civil War, a mysterious object was rocketed to Earth. Unfortunately, it landed on the dark side of the moon. Both the U.S. and the Soviet Union detected the crash, and began a space race to see who's going to get hold of the alien tech! So apparently, all the moon landings were just an excuse to dig up Transformer tech on the far side of the moon. The mysterious transformer that crashed on the moon was none other than (if you intend to see the film, stop right here, Spoiler alert!) the Ark: the giant massive Autobot spacecraft with Sentinel Prime on it. With Autobot turned villain Sentinel Prime. Unlike the shenanigans of the past Transformers films, dark of the Moon was an invasion of Chicago. So you'll dive into the thick of battle with buildings and all. A gigantic snake like transformer attacks one of the buildings where Sam and Carly are in. Get ready to meet Sentinel Prime and Shockwave. Those big bad Decepticons are sure to come your way. Gigantic missiles firing Decepticon ships pummel buildings with their high octave salvos! Overall, the movie was great. Kyle and I had truly enjoyed the film. Purple Plum Fairy thanks Nuffnang Philippines and PLDT MYDSL for the invites. It's that time of the year once again Nestle Club members--the Nestle I Choose Wellness Expo 2011 is happening on July 2 and 3, 2011 at the SM Megatrade hall 2 and 3, at the 5th Level of SM Megamall B from 10AM to 8PM. It's going to be a fun-filled day as there will be cooking demos, nutrition consultation, seminars on healthy-living, freebies, games and lots of surprises in store for the entire family. Admission is FREE on a first come, first served basis. Again, this is Nestle Philippines' way of thanking its loyal consumers for giving them 100 years of Good Food and Good life. We hope to see you there! 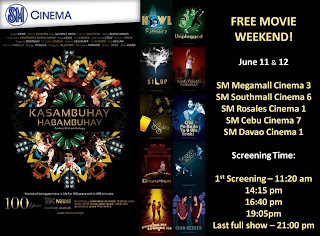 By the way, the Nestle Sine Habambuhay will also have special screenings on the said event. 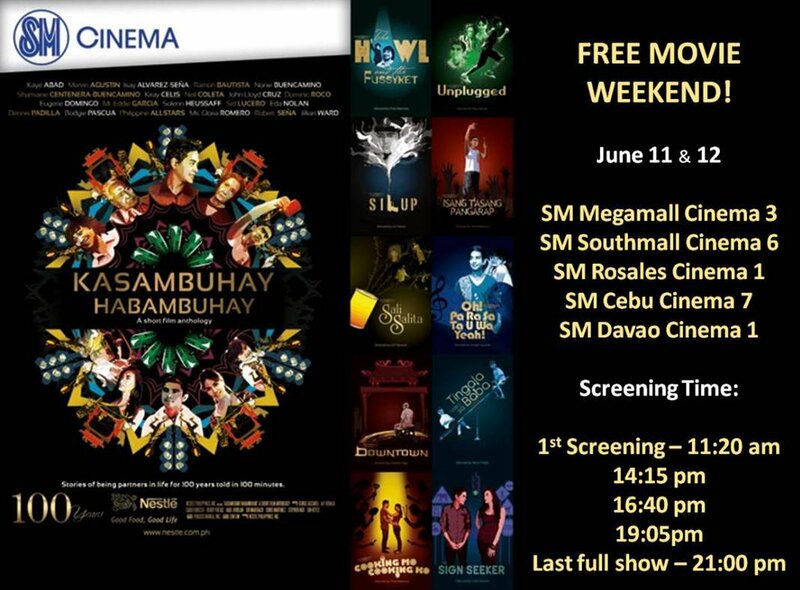 So for those of you who missed the screenings held at SM Cinemas, this will be your time to watch them. Freebie Alert: Free Drypers Soft diapers for newborns! 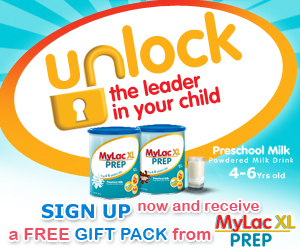 Mommies with new born babies, this freebie alert is for you! Grab a FREE sample of Drypers Soft now! and simply request for a free sample! Kindly include your full name, contact number, complete address. For more details, call the MomCenter hotline at 751-3613. I've just finished reading Mitch Albom's Tuesdays with Morrie for what seemed like the nth time. Still, the story's effect on me is the same as the first time I've read it. I wish to share with you another story, this time, based on the true accounts of someone I personally know. Let me share with you a story by a friend from my college days. Everybody says you’ve got to embark on a different journey as you enter college. People often make a big deal about reaching “the ripe age of maturity”, that dreaded age when you will no longer be considered a minor but a real adult. It is when you’re at this certain age when you should be committed in all aspects of your life. There’s so much ahead of you, so much to look forward to and a lot to learn. And you must be open to that. I am the youngest in a brood of four. My parents sent us all to reputable schools for they believed in the quality of education. They’ve really worked hard to send us to the best schools. I went to an all-girls school since high school. They say the best part about being young is all about having fun even to the hilt and extremes with your entire friends. Even if my father had been very strict, gimmicks have always been my favorite pastime. For a youngster like me, it could be going to a bar for a night out, picnic at the park, watching movies or simply malling, actually anything as long as it takes my friends and I together. Although most parents won’t allow us to indulge on gimmicks, we find different tactics to pursue our desire, oftentimes disregarding the possible outcome of our foolishness. My barkada and I had reached a certain point when we would cut classes just so we could go to watch the latest movie flick premiere or we’d get VIP passes to concerts and events. I was happy, so I thought we were doing the right thing. We were having a grand time as we exposed ourselves in pop culture, the kind that was new to me. Greatly influenced by my so-called clique, I went to try drinking alcohol and learned how to puff cigarettes too. Later on, committing truancy at school became a habit. When my family would ask me why I’d go home late, “making projects and term papers” had always been my lame excuse. Soon, my grades began to fail. I may not be the smartest girl in class, but I knew, had I studied seriously I could have passed my subjects with flying colors. I knew I had to do something to conceal or somewhat cover up my grades. It was the end of my senior year and my mother was expecting me to graduate that school year. A friend had asked someone from the Recto area to make a class card similar to that given by our school. It was the class card I’m going to show my parents and not the real one where some of my grades were failed. My grades back then were composed of incomplete, failure due to absences and the like. You get the picture. That way, I won’t get scolded and be subjected to any disciplinary action by my father. My siblings knew I would not be graduating that March. They also knew what I was up to and were basically just waiting for the right moment to reveal or divulge the “sad news” to our parents. I didn’t had the guts to tell them what I’d done. When they’ve learned about it, reality began to sink into my system. A part of me tells me, I’ve been guilty for neglecting my studies. But I guess I didn’t care that much. I went on with my life and vowed not to ask for my parents’ help on financing my studies. June of the same year came and I told my mother I’d stop studying. Instead of being sorry, I’ve been proud because I told her I want to work hard and earn my own money. I’ve promised my parents, come hell or high water, I’ll finance myself to college. Perhaps, my parents got sick and tired of me. They didn’t utter any word the way they used to. Before I would listen to their sermons and litanies on the importance of education. Then, it hit me…I need to have a vision in life. I’m no dumb; I was pretty much your average student. Maybe I simply didn’t know what I wanted. But I can’t always have the lame excuse of being young, reckless and crazy anymore. Things have more consequences and time kind of starts zipping by. I need to make something out of my life. I looked for jobs and worked in hotels and fine dining restaurants. After my failed marriage and working for almost a decade, I thought I’ve saved enough money—I decided to go back to school and get a degree using my own savings. In June 2000, I went back to school. I’ve enrolled in the same college. I had mixed emotions at that time. I was excited and happy to be back, a little shy because I’m way older than most of my classmates (even some professors) and anxious because of the high expectations from my family. I was an AB Psychology student at the age of 37. But who cares? I saw some of my old professors and they could still remember me. They were happy to see me and they even said they admired me for my determination to finish my degree. For the first time, after so many years, I felt good. My memory may not be as sharp as before but I knew I am making steps towards my goal. Sure, I’ve had difficulties during the adjustment period. I got a lot of flak and I’ve been teased by people who would always criticize. But I’ve managed to remain unfazed. I told myself, “this isn’t just for a show”. I am in school because I want to learn. I didn’t want to venture into anything that isn’t useful. I have learned my lesson well from my previous experience. This time I chose whom to befriend and made my studies my top priority. During those times, my desire to prove my parents that I could get a degree motivated me to do my best. My siblings were all professionals; I had a licensed engineer bother, sister who’s a nurse, another who’s a medical technologist. It would be a shame on my part if I’d end up as an undergraduate. In March 2002, my most awaited moment came. My mother, who was 81 years old at that time with a grandson in tow, marched with me at the Philippine International Convention Center Plenary Hall during my graduation. I could not contain my joy. I burst into tears knowing fully that I had fulfilled the promise I had given my parents. I’ve waited this for so long. I knew deep in my heart my parents were proud of me. Two months after my graduation, my father passed away. It was as if he simply waited for me to fulfill that promise. At this point in my life, I feel blessed that despite my age, I was able to find a descent job. One of the greatest journey in life is the journey within. This journey is introspection. Introspection is a mirror to your inner self. The more often you introspect, the clearer you see yourself. The clearer you see yourselves, the more likely you correct yourself. What you are today is the karma seeds planted in your past and what you will be in the future is a karmic reflection of whatever seeds you plant today. There’s always room to foster new dreams, find new souls and it’s never too late to clear up your mistake. Want to represent the country in the Karaoke World Championship? Here's your chance! Would you like to represent the Philippines in the Karaoke World Championship? Here's your chance to do so. KWC Philippines is now looking for the first male and female Pinoy karaoke champions who will compete in the Karaoke World Championship in Killarney, Ireland on September 8-10, 2011. 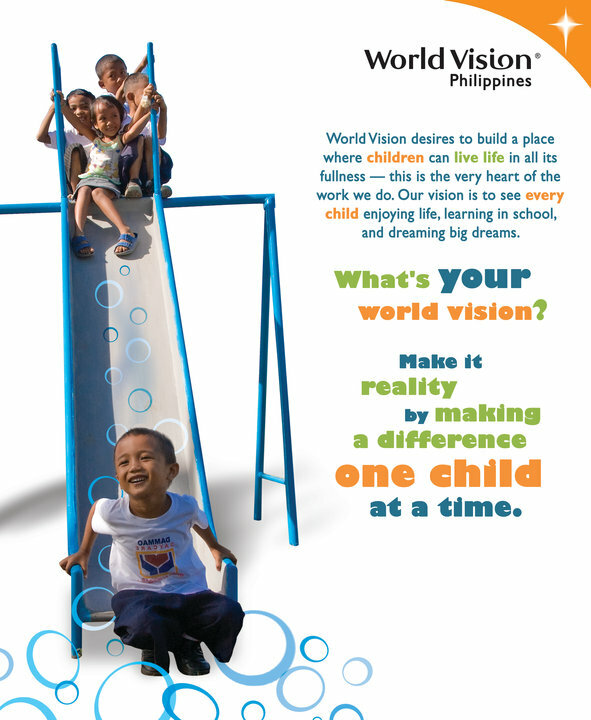 KWC Philippines is the official partner of KWC Organization of Finland. 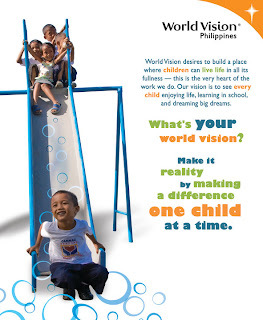 It has the right to conduct the Philippine trials for KWC. For the very first time, Filipinos will have the opportunity to compete in the prestigious Karaoke World Championships that’s been held annually since 2003 and participated by more than 20 countries around the world. 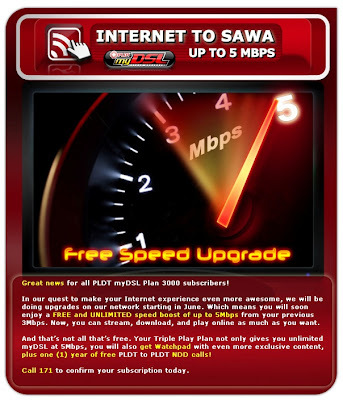 To join the KWC trials, purchase any WOW Videoke product during May 1- June 30, 2011 promo period. Together with the purchase, a KWC Daily Trial Passport shall be given. The KWC Daily Trial Passport will serve as the buyer’s entitlement to join the competition. This entitlement is transferrable. The buyer can nominate himself, a friend or a relative to join the KWC Daily Trials. The KWC Daily Trials started last May 30 and will last until July 9, 2011 from Mondays to Saturdays at the KWC Philippines Office 1081 EDSA, Balintawak, Quezon City. The top three male and top three female scorers in the daily trials will advance to compete in the weekly trials that will be held at designated SM Malls. The top three male and top three female qualifiers will be finalists in the National Championships to be held on July 23, 2011 at the SM Mall of Asia. Together, they will represent the Philippines in the Karaoke World Championships in Killarney, Ireland. The 2011 Karaoke World Championships Philippine Trials is organized by KWC Philippines, Inc. and is co-presented by WOW Videoke, Talk ‘N Text. Or contact 362-1566 or 361-9450 loc. 823 or 835. Global Academy Culinary & Hospitality: Premiere Education Made Affordable! Seen through the glass window, the culinary students seriously work at the kitchen. I finished a course in communications and it was a bit too late when I realized I didn’t want to pursue the profession anymore. I have received a lot of flak for turning in this direction. People thought that I’m passing up a totally perfect opportunity to earn big bucks—aside from “wasting four years” of my life in college. But I’ve always dreamt of working in the kitchen. I used to watch Cooking Master Boy (an animated cartoon) and Wok with Yan on TV as a kid and it had probably started my interest in cooking. Aside from that, it was a tradition that children in our family were all hauled into my Grandma’s house during summer vacations. It was the only time I could play with all of my cousins, exploring the nooks and crannies of the ancestral house, and most of all, cooking something “exceptional” for the whole family. I grew up believing my Grandma cooked better than most people, even fine dining restaurants. The true test of a good cook is when there are hardly any left-overs and a lot of empty plates. I take pride when I get praises every time I serve my dish and see the smiles on their faces. But there’s a certain void in my heart: I wanted to have a formal culinary training. A few years back, I could vividly recall how difficult it was to find a reputable culinary school that had affordable tuition fees. I was looking for such because after finally getting my college diploma, I felt it was about time for me to pursue my passion. I remember being excited on my first day of going back to school wearing a chef’s jacket. I soon realized that taking a culinary course wasn’t exactly bed of roses. It entails perseverance, determination, hard work, and you really had to love cooking in order to excel in it. Each time I had classes I always had to rush to a nearby grocery in order to buy my ingredients. And after that, I need to carry them all to school because they were not part of my tuition fee. I had to budget my money wisely, sometimes to the point of haggling if I buy items in bulk at a wholesale baking outlet. Ms. Glaiza Mari Castro, Marketing Assistant talks about their facilities. 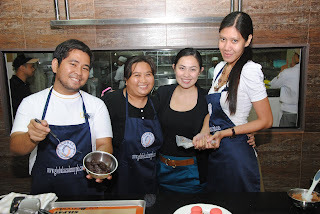 I was recently invited to the Global Culinary & Hospitality Academy’s Open House at their Ortigas branch. We were given the chance to tour the school’s facilities and sample their sumptuous meals. I couldn’t help but be envious of their students! I wish I had known about Global Academy before when I was still looking for a culinary school. Students are hands-on with individualized training. Global Culinary and Hospitality Academy pushes the quality of education and superior value as it offers professional and recreational courses of the highest standard with unmatched cost effectiveness. 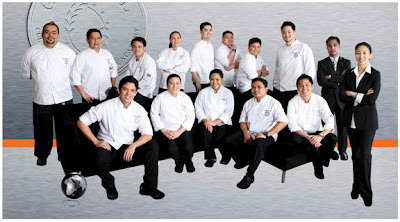 Chefs Roberto Pengson and Benjamin Ledesma Jr. founded Global Academy in order to provide aspiring industry professionals with relevant education and professional training at modest rates in order to prepare them for the growing opportunities of the international culinary and hospitality industries. Chef Benjamin Ledesma, CEO and the Academy's founder. Fully-equipped facilities with HD plasma TV for demo classes. Aside from being 100% chef-owned and operated, Global Culinary and Hospitality Academy had a team of internationally educated and accomplished faculty. The campus had multiple locations so you can choose the branch nearest you offering the same programs and facilities. But I guess the best part of it all, is that you get individual learning for both lab and kitchen. Chef Terence Fereday explains the dish he's about to prepare. I couldn’t help but compare it with the culinary school where I was once enrolled. Back then, students were grouped and then tasked on a rotational basis to work on the kitchen and in the lab. There were times I’d be assigned to do the dishes, to be the cook, the one that prepares all the ingredients etc. Here at Global, you can be assured of individualized learning and training under the supervision of an instructor. They even had the Epicurean Lab wherein one can get the major elective and be able to learn some of the world’s most popular cuisines like American, Japanese, Korean, Chinese, Thai, Vietnamese, Indian, Singaporean, Central European, Spanish, Scandinavian, Mediterranean, Italian and French. 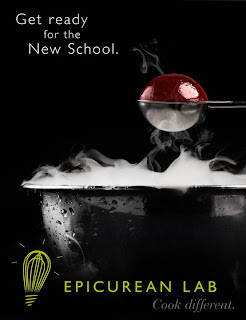 Learn the world's most popular cuisines at Global Academy's Epicurean Lab. The Academy won awards in the recently concluded HOFEX last May in Hong Kong where Global Academy’s faculty and students topped several categories in the International Culinary Classic. A clear testament that incoming students can be assured of world-class training and superb hands-on experience. 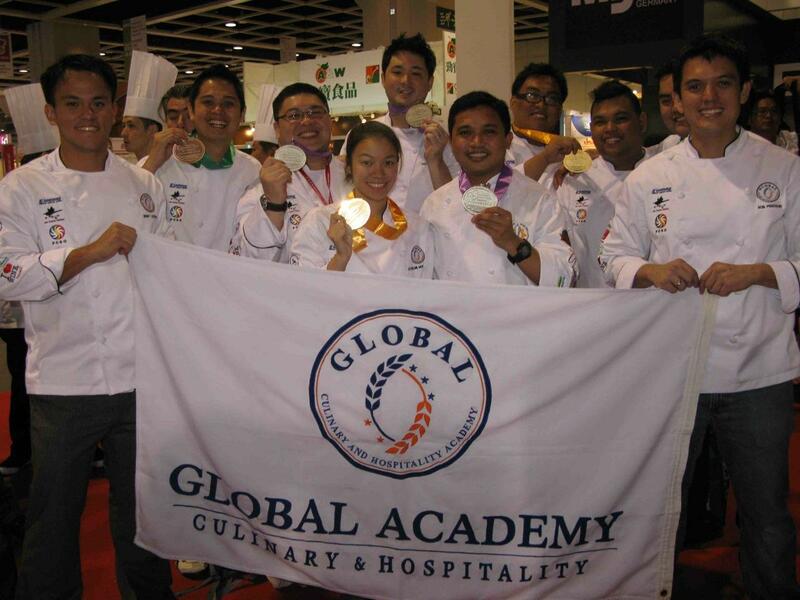 The awards won recently in HOFEX by the Global Academy team. I personally liked the Modern Asian interior design of the Global Culinary & Hospitality Academy’s new Pasig campus. But what had truly impressed me was their awesome facilities: they had two kitchen labs, two 23-seater theater demo rooms with three high definition TV and cameras each, and a library with wi-fi connectivity, separated locker rooms for men and women, not to mention their clean and cozy Zen-themed rest rooms that are similar to those found in elegant hotels. When I skimmed on their course outline, I was surprised to see that a Grand Diploma in Professional Culinary, Baking and Pastry Arts is the only one of its kind in the country wherein students are trained in both cuisine and pastry in less than a year. Earning this double diploma will give its graduates a competitive edge as they hunt for employment opportunities here and abroad. With internationally educated and accomplished faculty. Have I also mentioned that when you pay their tuition fee, it also includes the ingredients to be used, three sets of uniforms, chef's basic utensils/kit and shoes as well? Isn't that amazing and truly value for your money? Chicken Ballotine on a bed of Spaghetti Squash with Truffle demonstrated by Chef Terence. Paella with a twist: loads of tinapa flakes and Vigan longanisa made by Chef Terence. French macaroons with ganache fillings demonstrated by Chef Roel. Dark Chocoloate mousse, Strawberry topped Tiramisu and French Macaroon by Chef Roel. 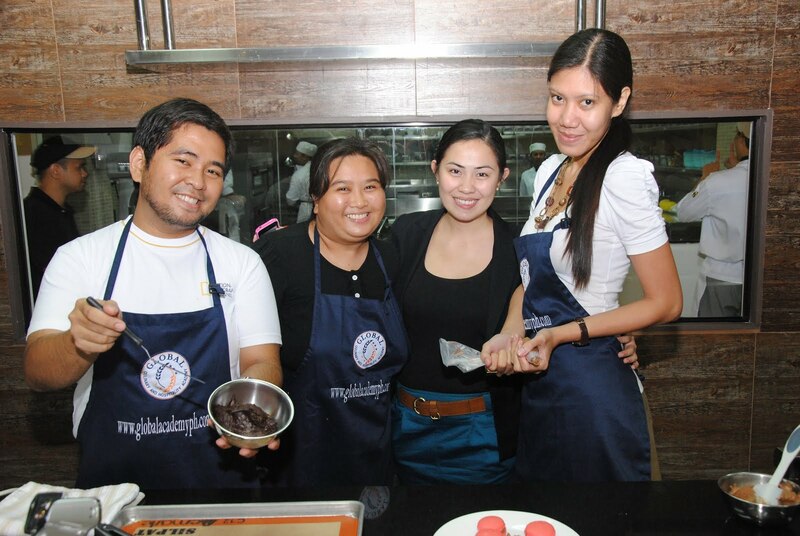 Bloggers tried their hand in the kitchen: Florencio Jusay Jr. the author, Ms. Claudine De Leon, and Ruth Dela Cruz. Chef Rob Pengson(the Academy's co-founder and CEO) in blue with baking instructor Chef Roel Vargas and a soccer varsity team member. Now on their fourth year of service, Global Academy is proud to have four branches available to its students. The Alabang, Ortigas, Makati and Quezon City facilities make training more convenient for students as it brings quality education closer to home. Discover learning the best of culinary experience at Global Academy. Recreational Short Courses are available year round. Purple Plum Fairy thanks Ms. Mhel Ignacio, Juan Manila (for our lovely picture), Ms. Claudine De Leon and Ms. Tricia Leung.